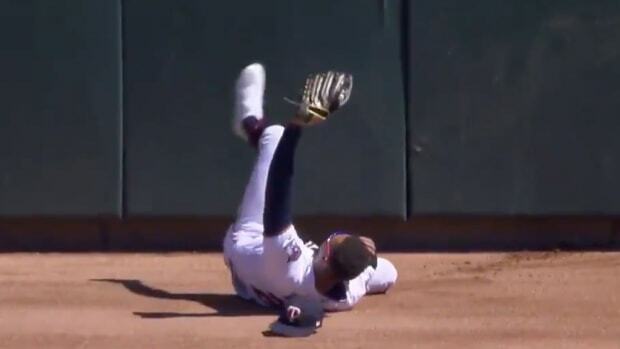 Twins center fielder Byron Buxton may have made his best grab of the season during the American League Wild Card Game against the Yankees on Tuesday. Buxton&apos;s leaping grab against the center field wall prevented Todd Frazier from picking up an extra-base hit. Buxton ended up leaving the game with a back injury in the next inning and was replaced by Zack Granite. New York ended up taking the lead in the next at bat with a home run from Brett Gardner. Follow GoMN Sports on Twitter for updates all evening long from the American League Wild Card Game. First pitch between the Twins and Yankees is at 7:09 p.m. It was the seventh blast of the year for Buxton. 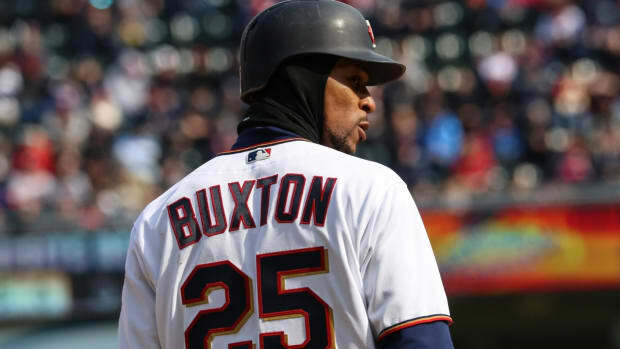 Buxton is hitting .347 over his last 24 games.